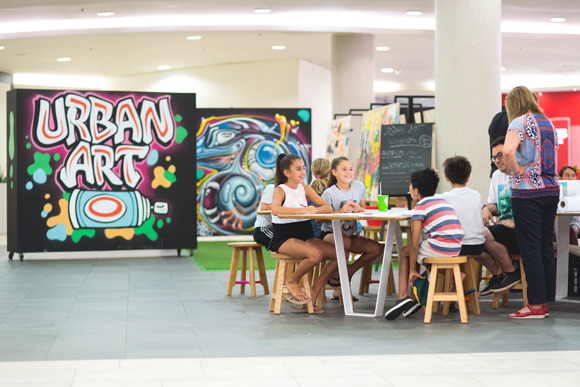 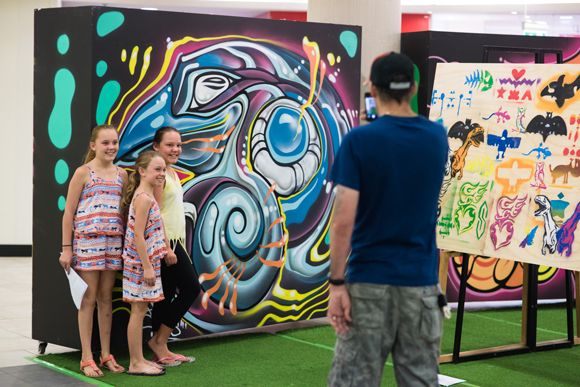 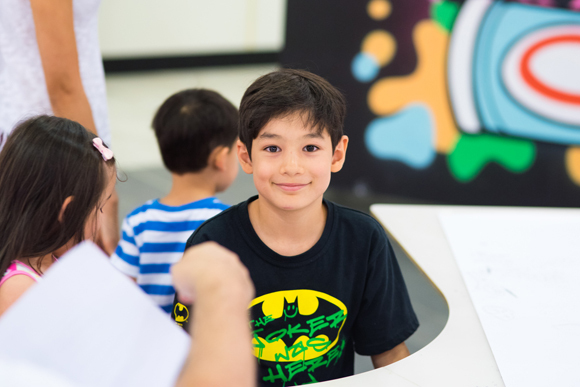 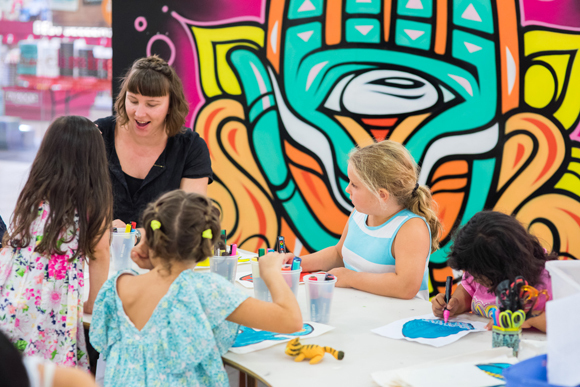 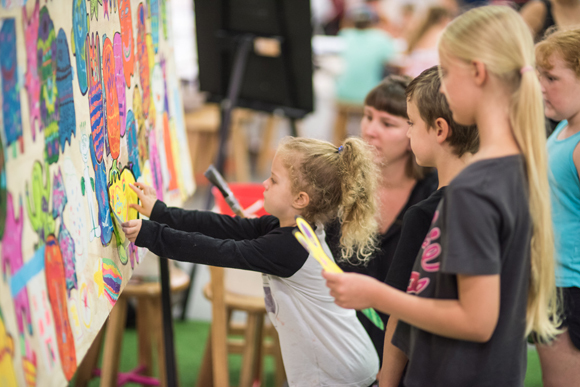 Aerosol painting, illustration, paste-ups, and stencilling were just some of the art disciplines explored at Wollongong Central’s Kids’ Urban Art Workshops these summer school holidays. 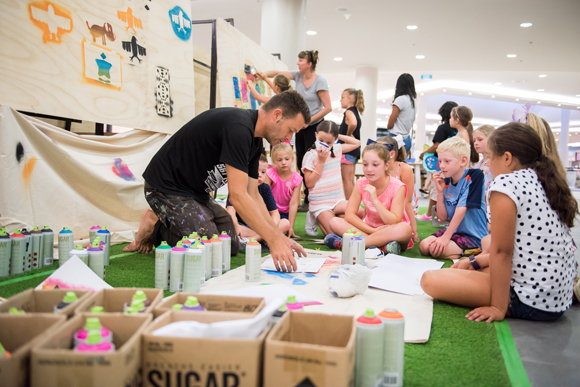 Over 600 kids created artworks side-by-side with the biggest names in Australian urban art, including Phibs, Camille Walsh, Evan Newby, Poncho Army, and Natalia Zajaz. 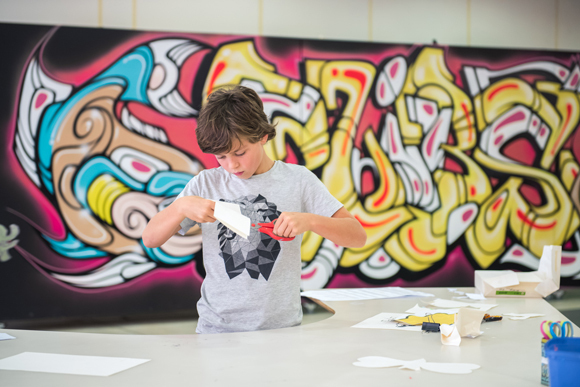 The free one-hour workshops catered to kids aged 5-16 years, and were held daily for two weeks across the summer school holidays. 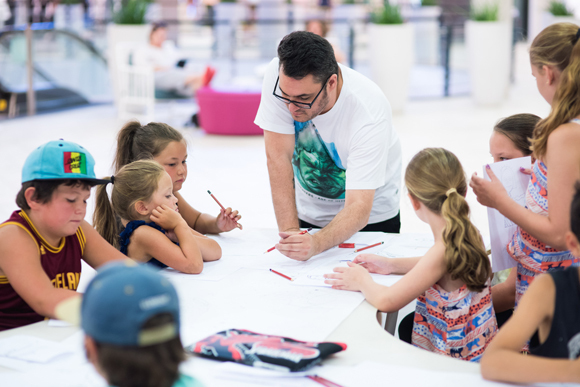 Curated and produced by Wiltshire + Dimas’ aMBUSH Gallery and presented with Wollongong Central, these workshops provided children with a unique insight into the world of the artists and gave them a chance to discover their own contemporary artistic interests, possibilities and talents.